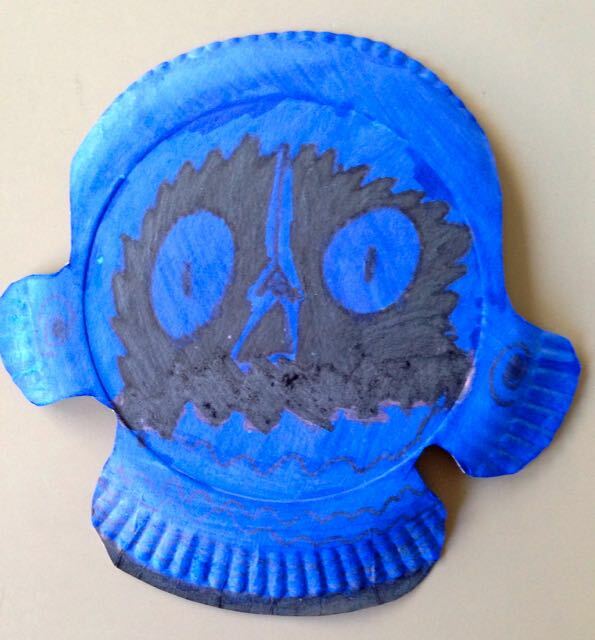 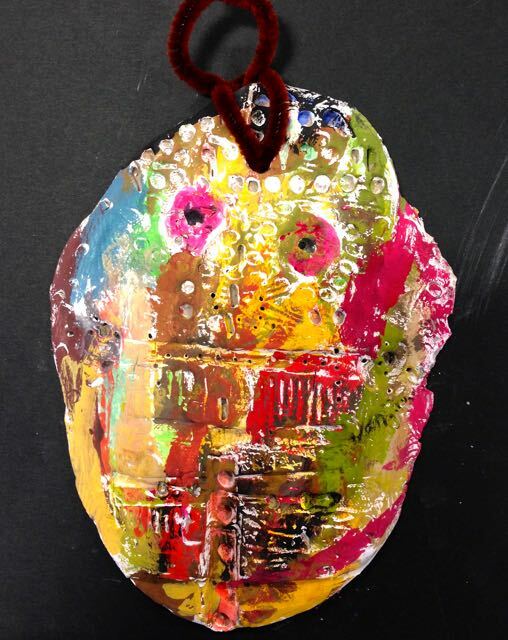 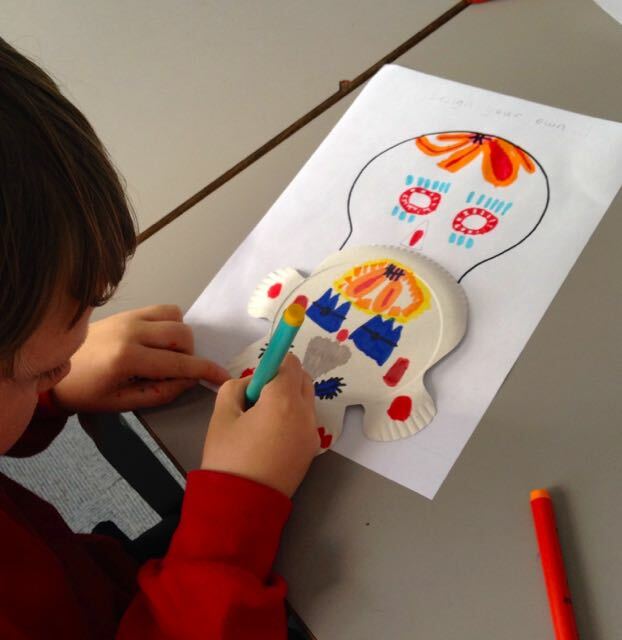 Our thriving art club at Pelham school has 2 groups – KS1 and KS2. 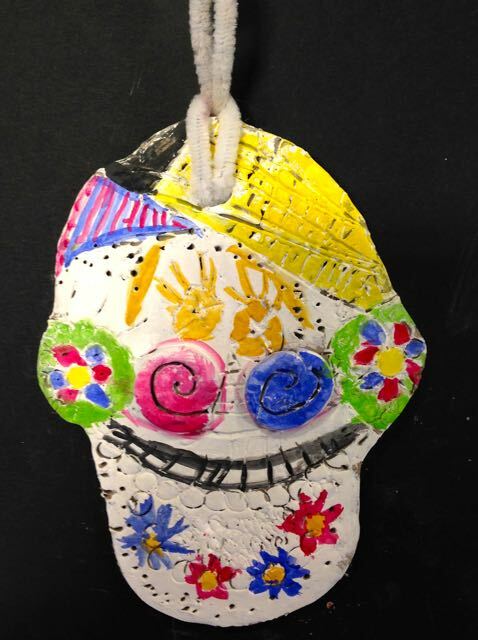 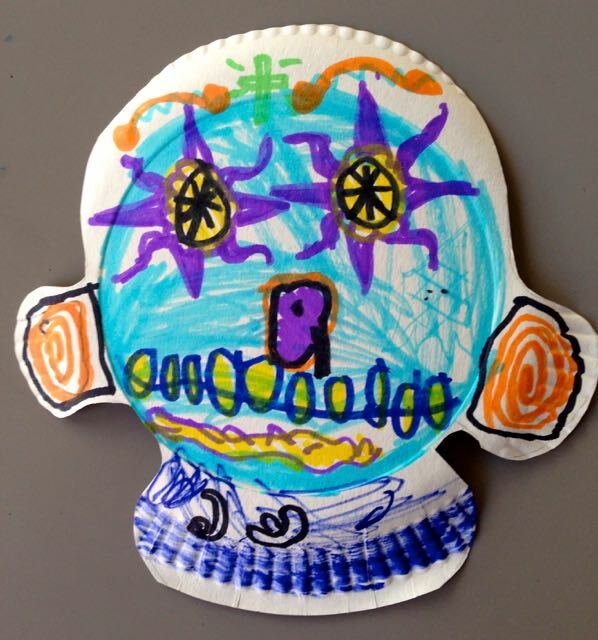 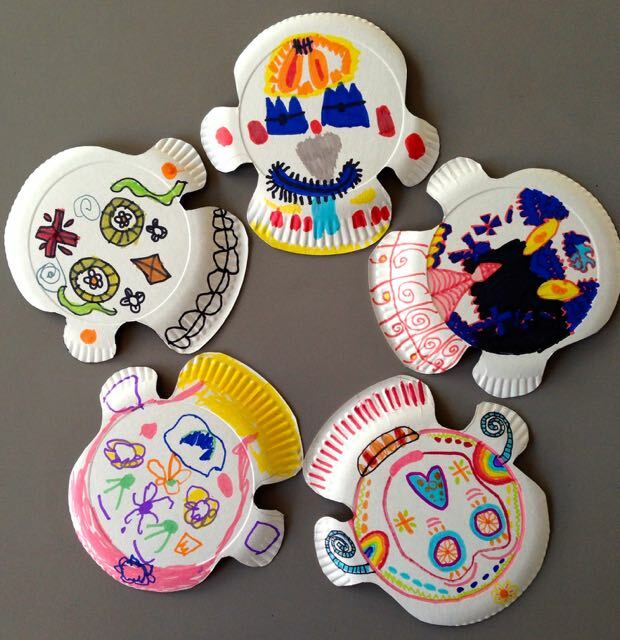 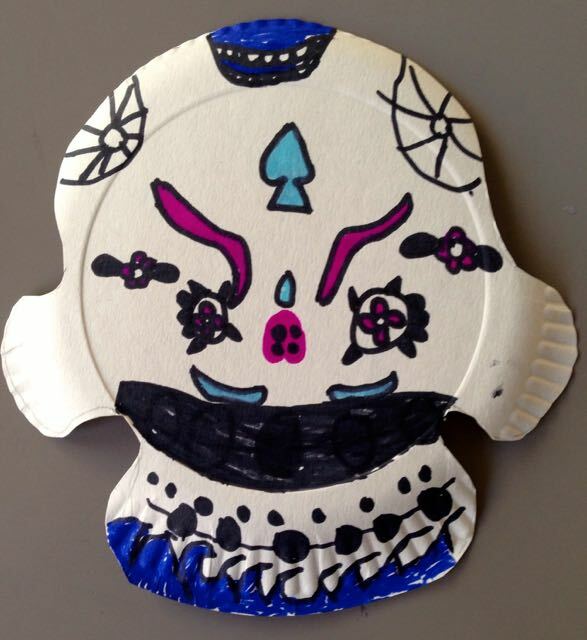 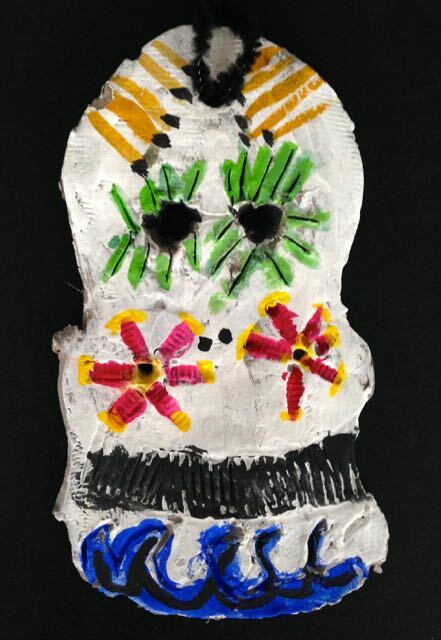 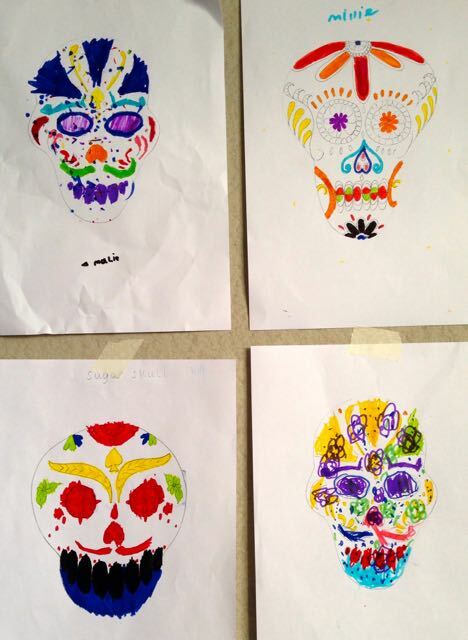 Our younger group have been looking at sculpture and relief with Louise Pasquill this term in a project themed around the Day of the Dead! 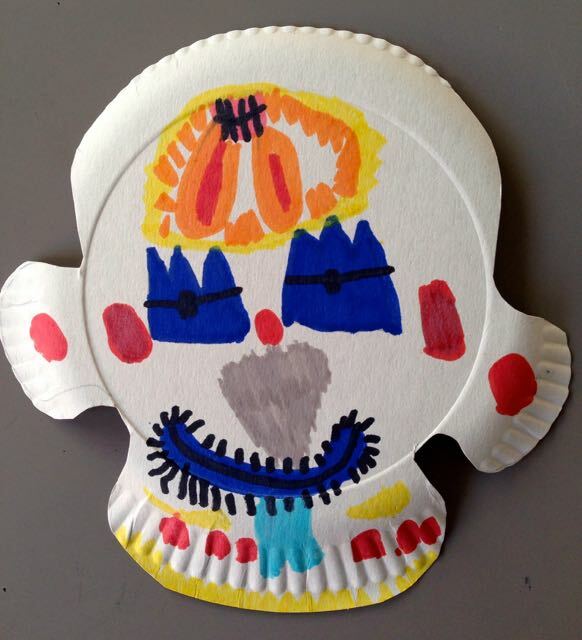 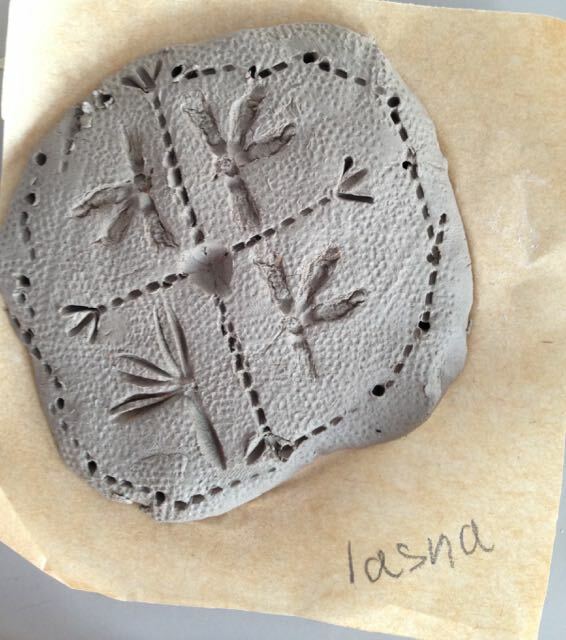 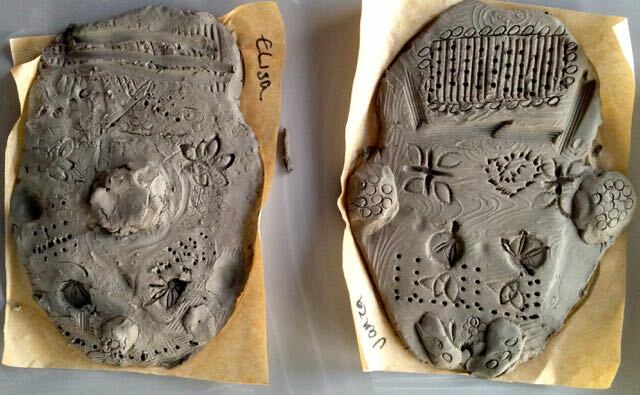 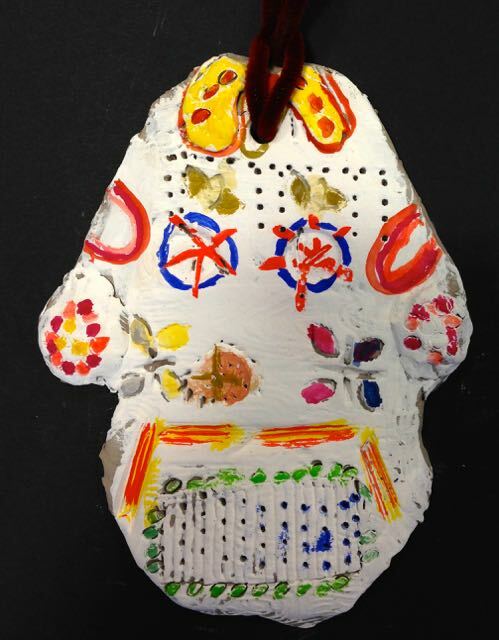 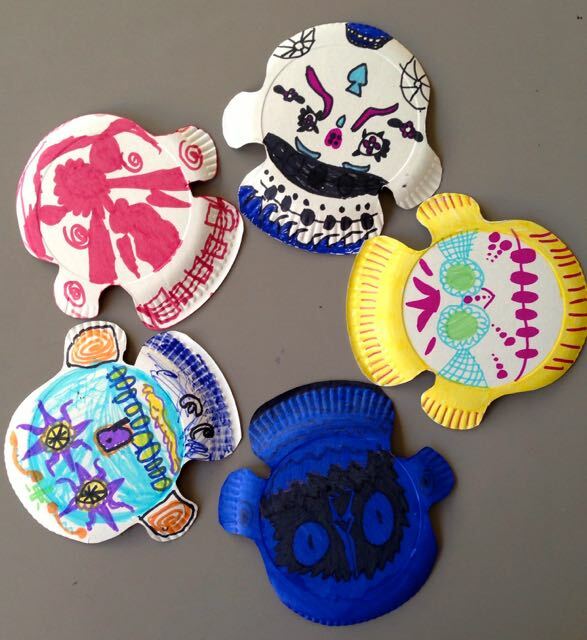 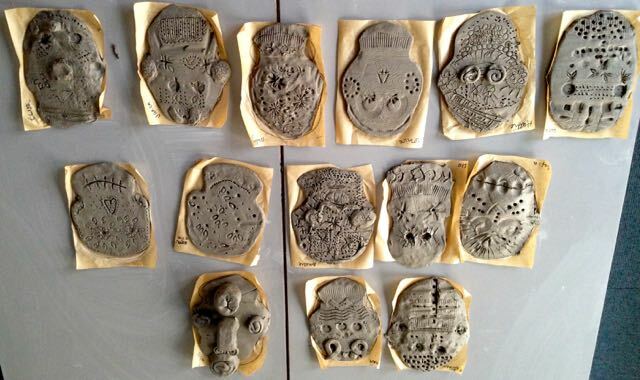 Children began by experimenting with clay, pattern and texture in the first 2 sessions. 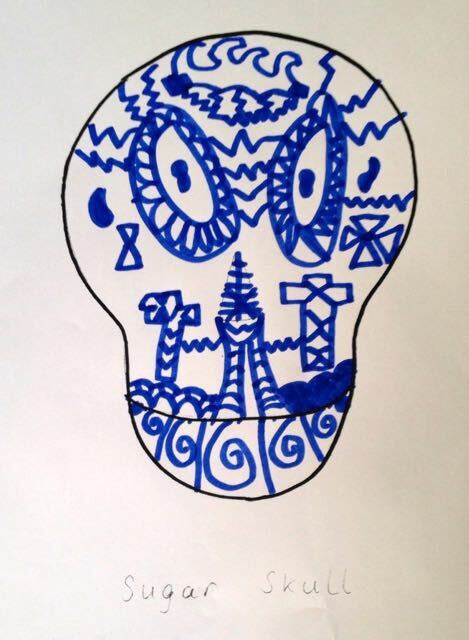 Using a symbolic language they built a story of marks onto a design for a mask. 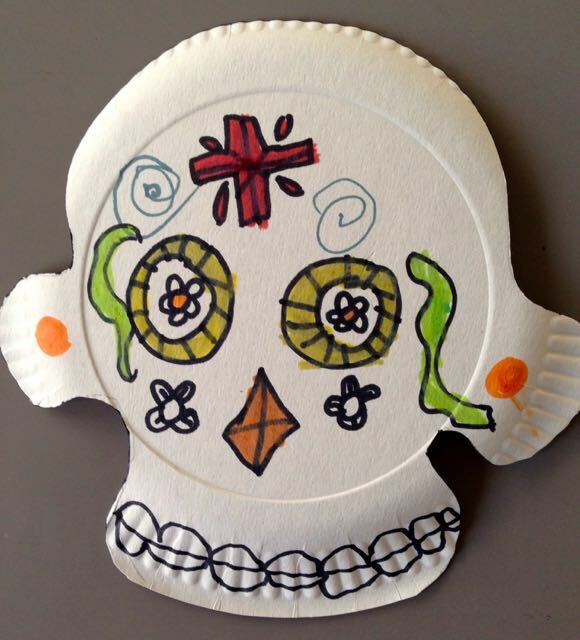 The design was transferred to a card template made from a paper plate. 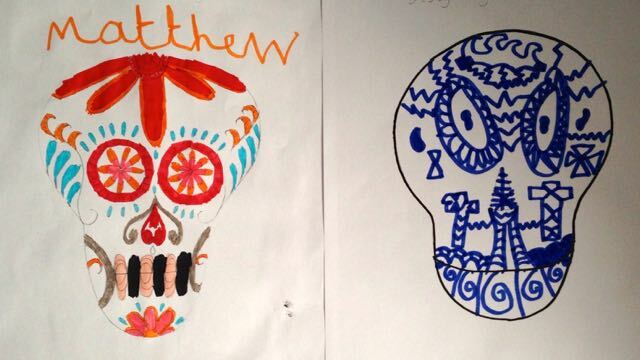 Continuing with the theme of the ‘Day of the Dead’ the children looked at skeletal art. 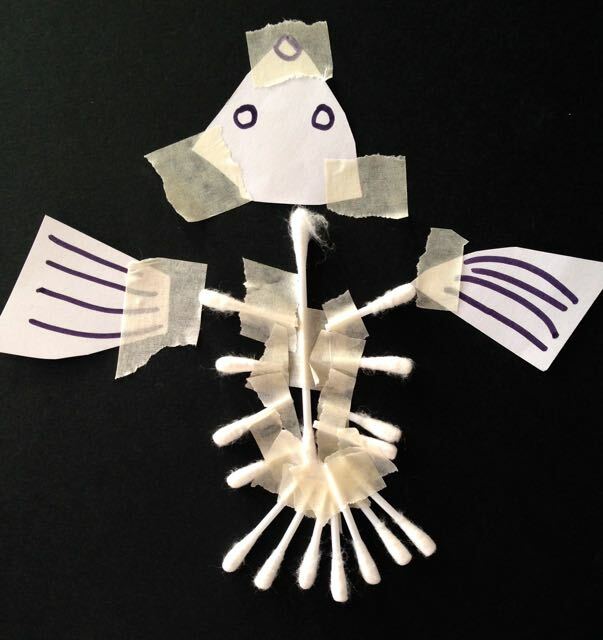 We studied the anatomy of bones in a crocodile. 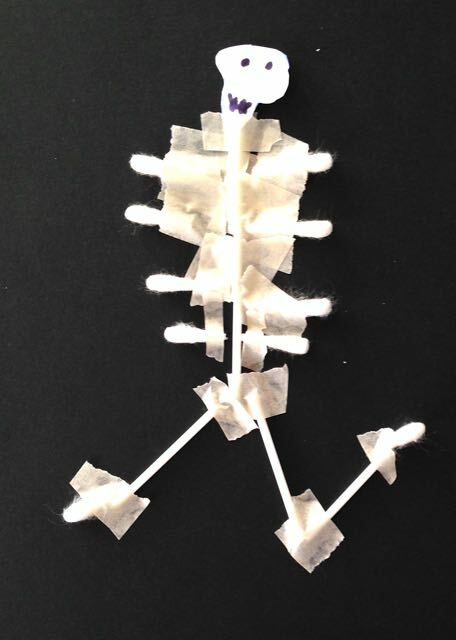 This exercise got the children thinking about how bones are made up of different shapes, how they slot together and can grow and reduce in size, like along a tail. 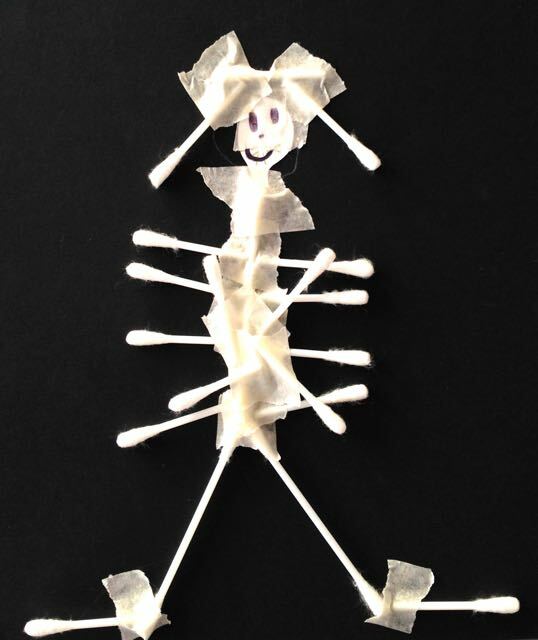 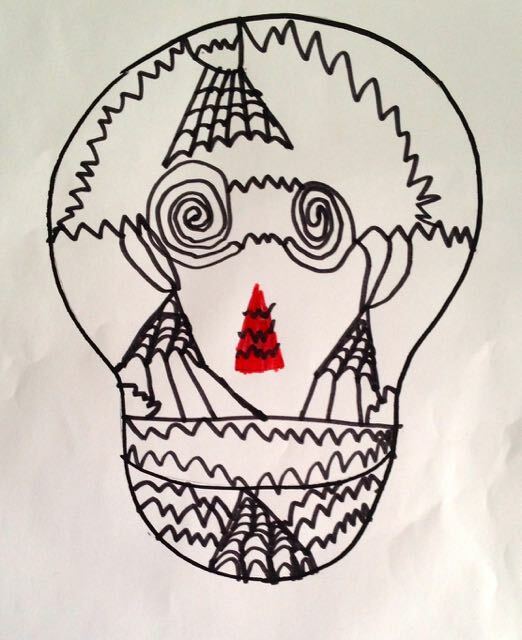 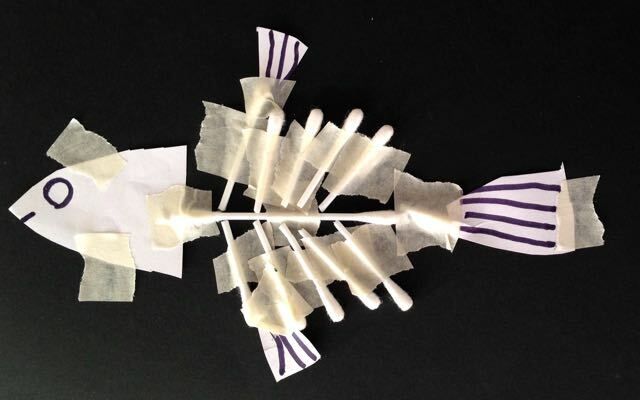 Here are some examples of sketches the children created using cotton buds, masking tape and scissors. 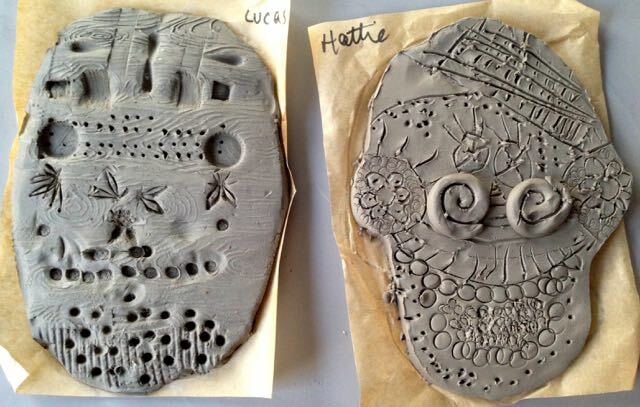 We then went on to make our masks in clay. 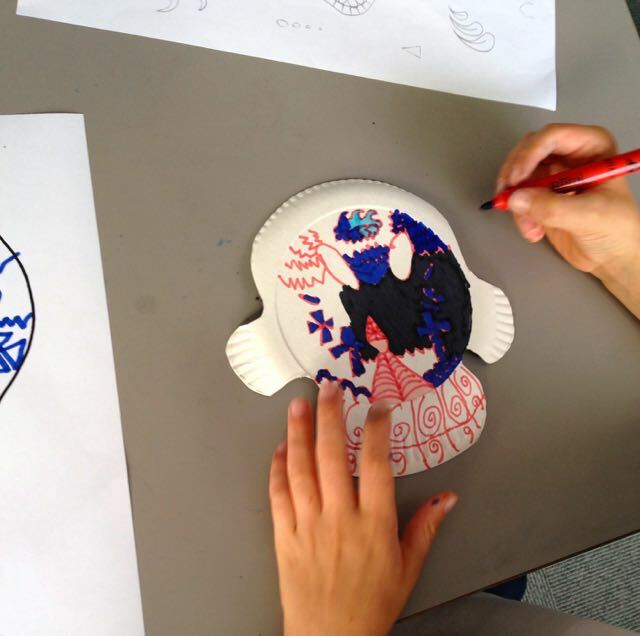 We gave it a whitewash base and then added colour using our cardboard designs to copy. 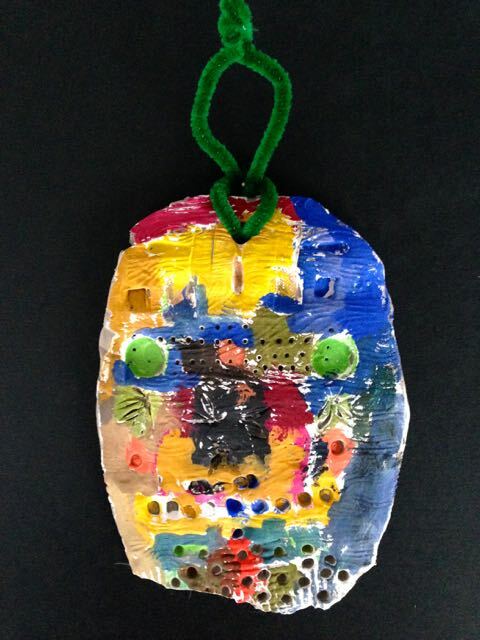 A small loop was added to hang the sculptures – a perfect spooky decoration!